We are proud to announce the purchase of a new home base for Spoleto Study Abroad. 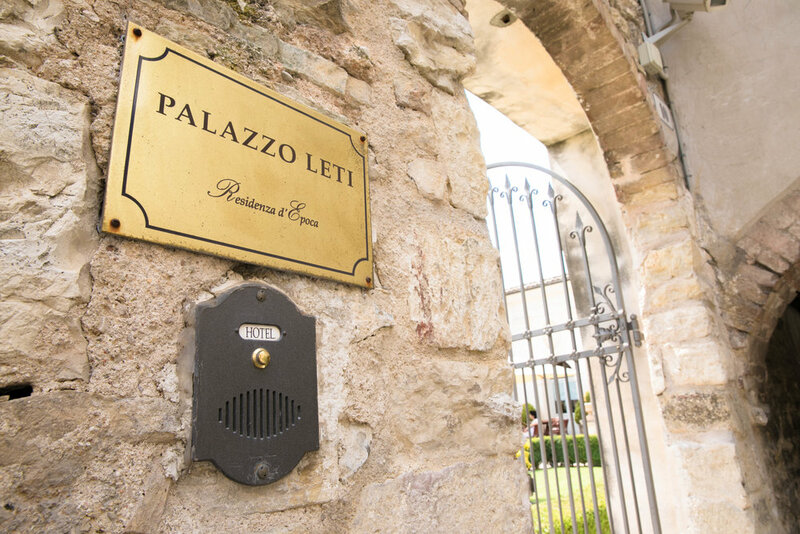 In late 2018, Spoleto Study Abroad purchased Palazzo Leti, located in the historic center of Spoleto, Italy. 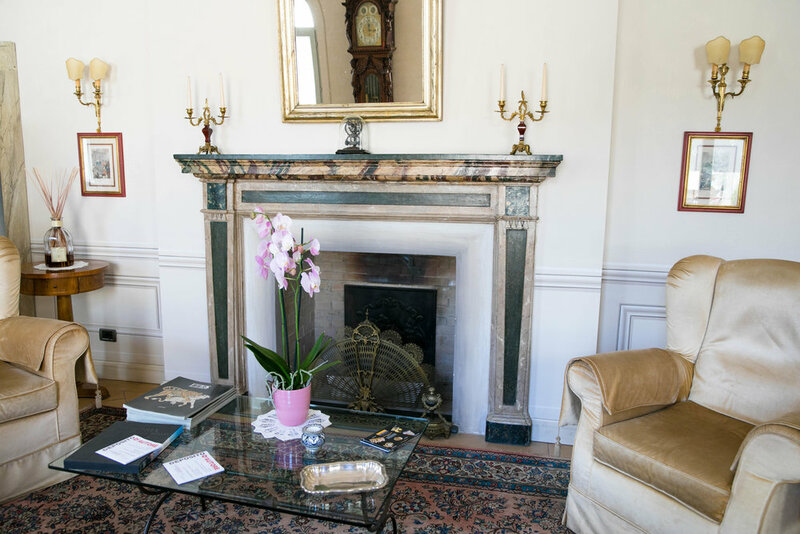 This beautiful and historic 12 bedroom residence was built after the medieval city walls were constructed in 1292, using part of a pre-existent structure that can be seen today when walking along Via delle Felici. 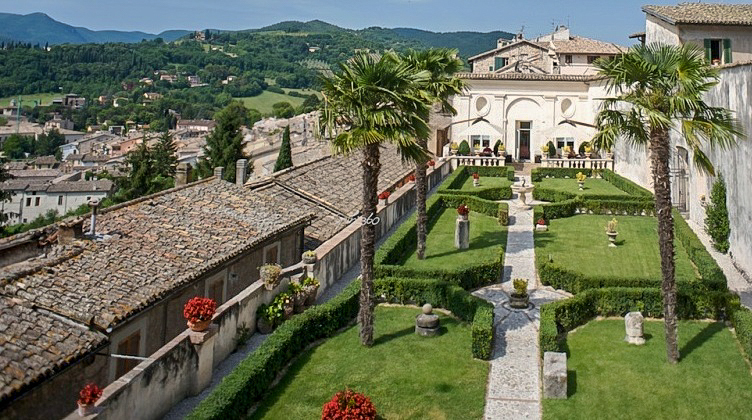 The Palazzo was the first residence of the Leti family who arrived in Spoleto in 1500. They resided there until the early 1800s, when it was sold due to a lack of male heirs for the Leti family. Over the centuries the building was under construction many times. In the 16th century the groin vaults which can be seen on the ground floor and the current architectural details were built. In the 17th and 18th centuries, the building was enlarged by adding a north wing and the beautiful garden that includes the two neoclassic facades. These two facades boast architectural features of that time including pilaster strips, beams and lintels, bases and capitals that give balance to the architectural whole. In the northern wing of the garden there is also an impressive large fountain with a nymphaeum. The large courtyard has been restored in classic “Italian garden” style. It is notable for containing many kinds of marble from different eras including a Sansi coat of arms. 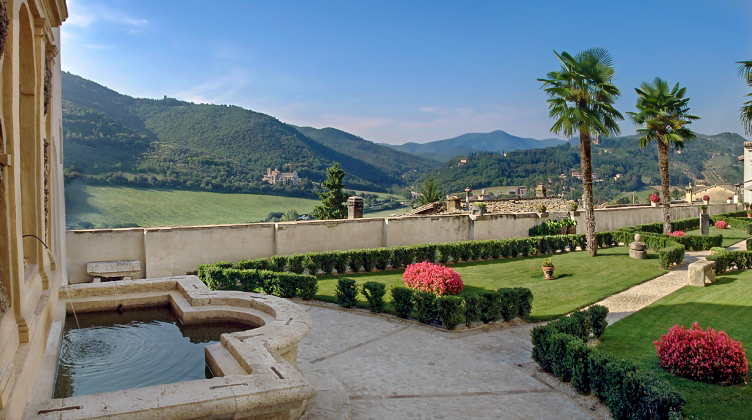 Visitors to the garden can admire the beautiful view of Monteluco and some of Spoleto’s most important monuments including the Rocca Albornoziana, and St. Peter’s Church. An adjacent apartment, once part of the palazzo, will be enjoyed by students as classroom space. Palazzo Leti continues to be a gorgeous bed and breakfast when it is not being used by the Spoleto Study Abroad program. Please come visit us! 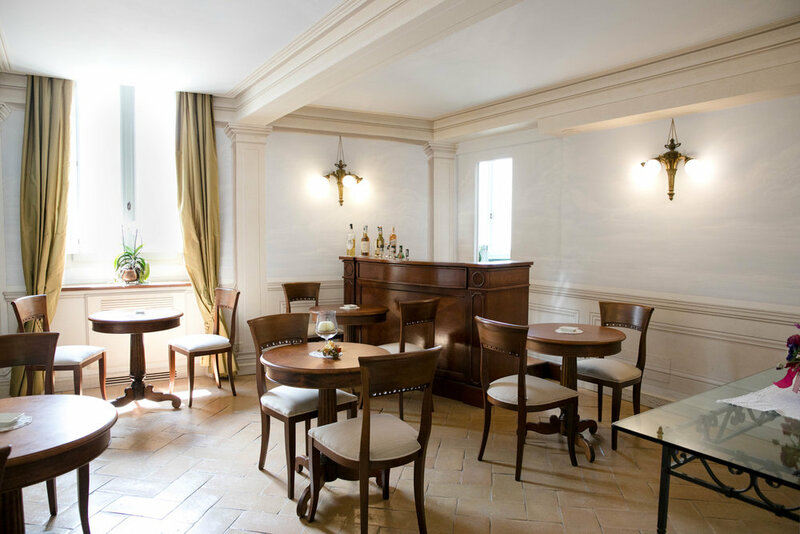 All rooms have been renovated and are decorated with warm lightly colored fabrics and organza reminiscent of a noble room of the past. Guest rooms have a view of the sacred mountain of the Spoleto valley “Monteluco,” which evokes the peace and the harmony of the hermits that once lived there. If you would like to support our efforts to provide more students the opportunity to participate in our transformative programs, we welcome your financial support.